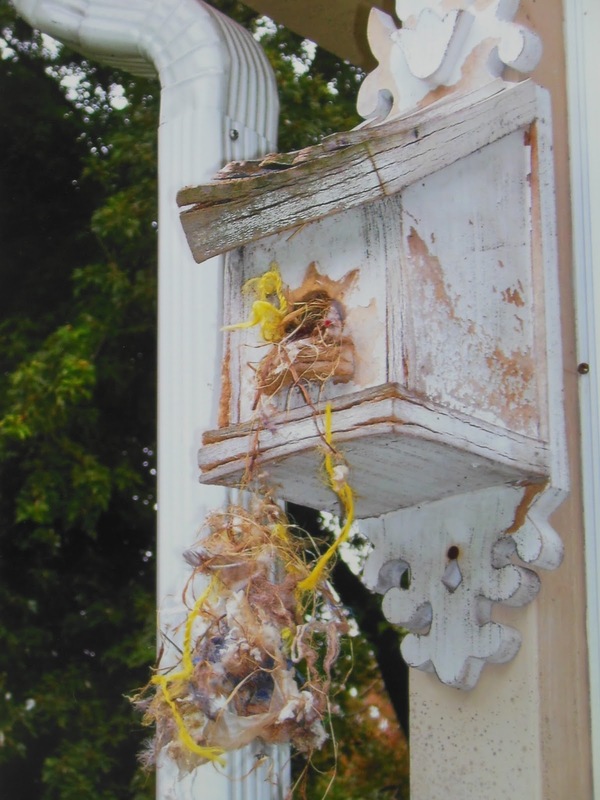 Sparrows find this decorative bird house I hung on the side of our back porch years ago irresistible! Some springs they fight over it. I enjoy watching their daily comings and goings from the vantage point of my kitchen window all summer long. Every once in a while, a little house cleaning seems to be in order. That’s when it becomes apparent… I’m not the only fiber artist in residence at this house!